South Korean broadcaster SK Telecom has partnered with Riot Games Korea to become the broadcast sponsor for League of Legends Champions Korea (LCK). The deal will run through to 2020, and will also include AR and VR broadcasts. As part of the broadcast deal, SK Telecom’s 5G brand, 5GX, will be featured throughout LCK broadcasts and promotional material, as well as a range of in-person events including experience and photo zones and a Sponsor’s Day. The partnership, however, is not just confined to the LCK, but will also include Korean broadcast rights for the World Championship, Mid-Season Invitational (MSI), and All-Star Event via their OTT video service, oksuku. As part of the 5GX deal, viewers spectating the LCK Spring Finals oksuku were able to access a custom channel with a pinch zoom feature to enlarge the screen by up to four times without image quality degradation. The feature appears to be the first step in a planned ‘5GX Multi-View’ project where viewers will have access to 10 different UHD videos during the live broadcast. 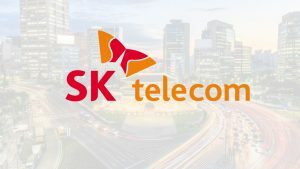 Additionally, SK Telecom will begin to provide VR and AR broadcasts via oksuku for the upcoming 2019 LCK Summer Split commencing in June. Viewers will have an immersive viewing experience of LCK matches as if they were at the stadium itself. Further projects are also in the pipeline, including a specifically LCK related IP for future viewers to experience VR and AR content including immersive match replays, AR one-on-ones with pro players, and virtual fan meets. Esports Insider says: Following their huge deal with Comcast Spectacor, this deal continues SK Telecom’s enormous presence in Korean League of Legends. The integration of AR/VR technology is a cool new take on the viewing and fan interaction experience. Safe to say with these huge partnerships sealed, SK Telecom will definitely be looking to roll out some cool new experiences for LCK viewers.